These airy, soft and colorful, fresh idlis, right out of the steamer are truly irresistible. They are healthy, nutritious and easy to digest. So the addition of beetroot although not traditional does make it even healthier. I had grated beetroot and added into the batter; you can steam beetroot and then pureed them in the blender. You could also use other vegetables too, like spinach, carrots, cauliflower. They colored the batter in very vibrant shades, especially the beetroot which upon steaming, took on a gorgeous dusty hue with a very understated flavor. I have also tossed them in a traditional seasoning of cumin and mustard seeds along with green chilies. It's a Halloween time here, so prepared these idlis to kick off a Halloween bash with this bloody red, deliciously gory beetroot Idlis. 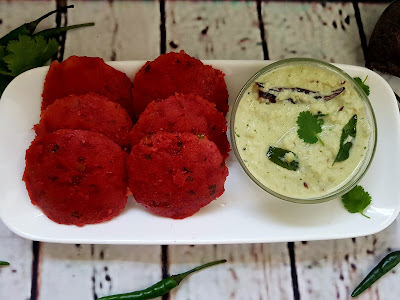 Serving this spooky, bloody red Idlis, these are damn good at scaring Halloween party guests. Have a Happy Halloween! 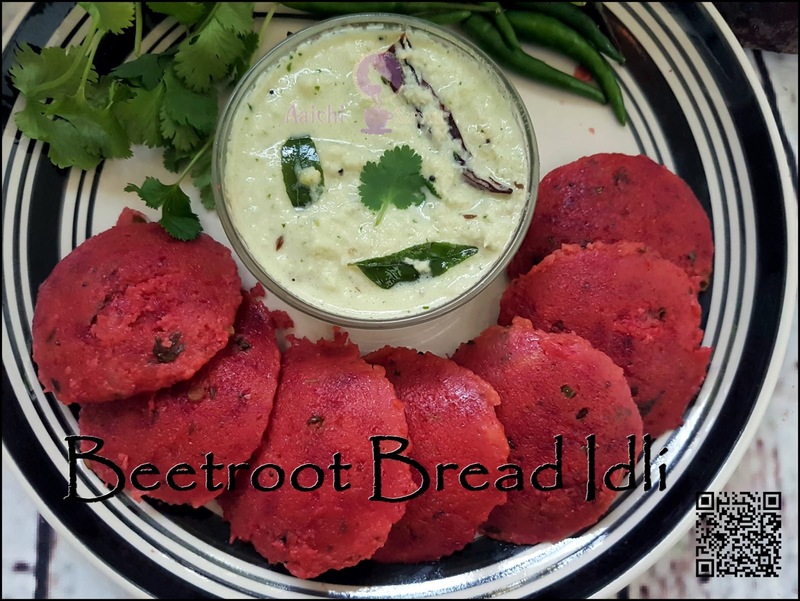 Each Beetroot Idli Contains 48.46 cal. 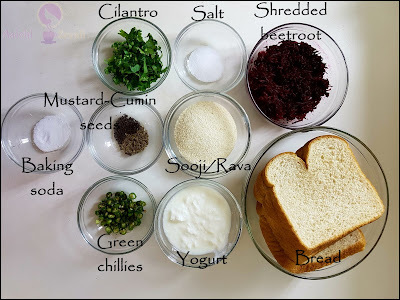 First, take bread slices and grind it to make paste like bread crumbs . 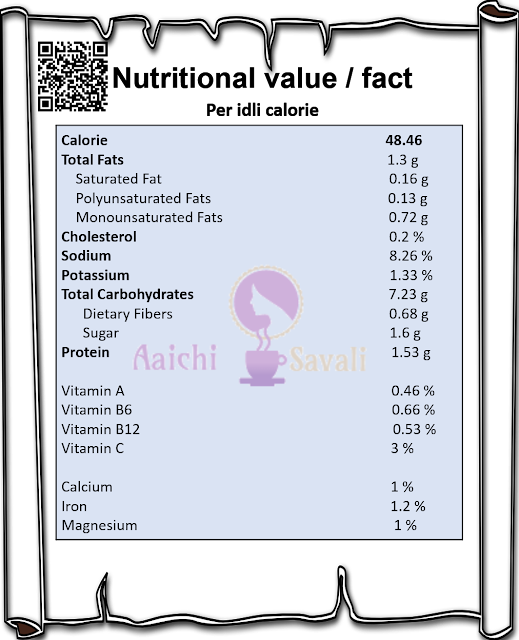 Now, in a bowl add bread crumbs, rava/sooji, curd and some water mix well and make idli batter consistency. Now, add salt, coriander leaves and grated beetroot mix all well and keep it aside for 15 minutes. Meanwhile, heat oil in a kadai, add mustard seeds and cumin seeds and green chillies allow them to splutter and add this to prepared batter. Just before steaming add baking soda and mix well till it turns frothy. Now, brush the idli mould with oil and pour the batter into the idli moulds. Steam it for 15 to 20 minutes on medium flame. allow it to rest for 5 minutes then unmold. 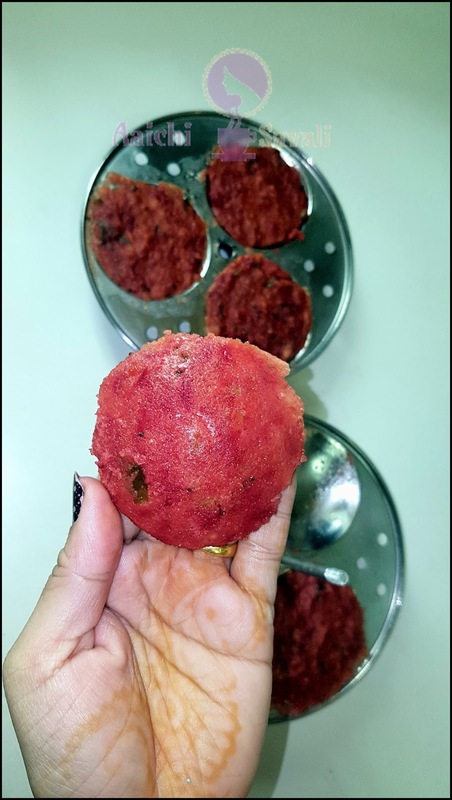 Here, instant and healthy beetroot Idli is ready to serve. Serve hot with coconut chutney and sambar. Enjoy!!! Do not worry if your batter is watery, bread and rava will absorb water. 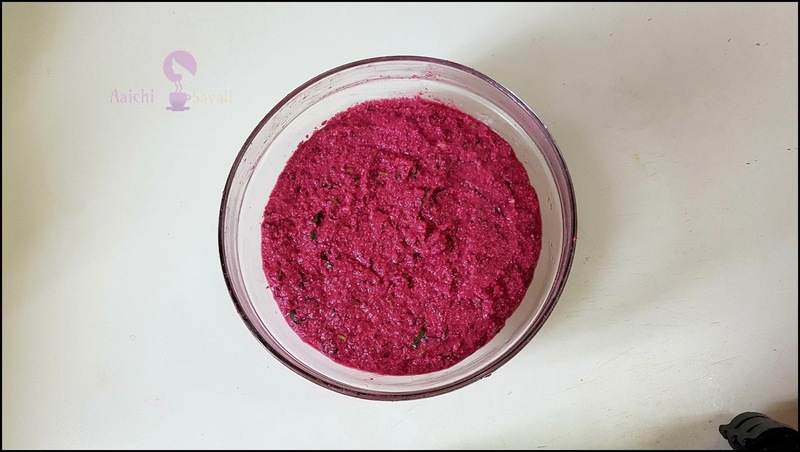 If beetroot is not available, you can use Beet root powder. Per serving contains 48.46 calories, along with carbohydrates - 7.23 g, fats - 1.3 g, proteins - 1.53 g.
Heart : The nitrates in beet roots helps to lower the blood pressure and reduce the risk of heart disease and strokes. Vitamins and minerals : Presence of calcium, B vitamins, iron, and antioxidants keeps beets amongst the best liver foods. Digestion : Beets are a good source of fiber, which is beneficial for digestion. Betaine in beets also helps the liver eliminate toxins. 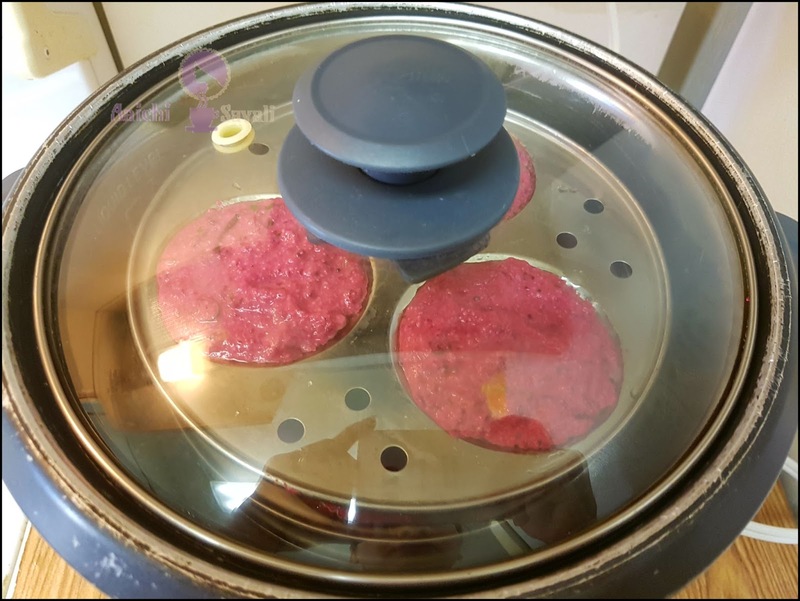 Brain : Beets are known to improve brain neuroplasticity by improving the oxygenation of the brain area that is usually affected in the early stages of dementia. Pregnancy : Beet roots are also rich in folic acid, which is one very good reason for pregnant mothers to include them in their diet. Folic acid helps prevent neural tube defects in the baby. Anaemia : Beet roots are rich in iron, and the absorption of iron is better from beetroot than a few other vegetables. It's good to eat Beetroot Idli for breakfast as well as for evening snack. Yeah! 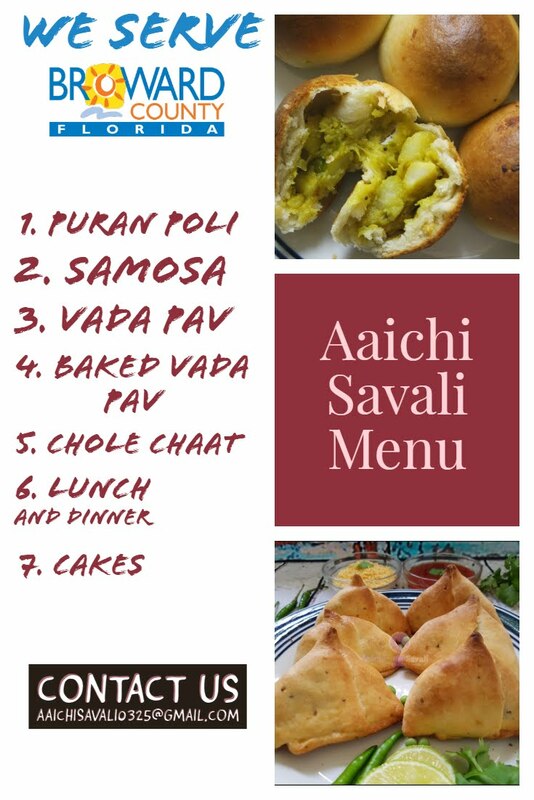 It's kinda Sattvik food ma'am, no garlic no onion and yep it taste awesome. Many thanks to you for stopping by and for such a lovely comment.